Condition: Dry, flaky skin or stretch marks. 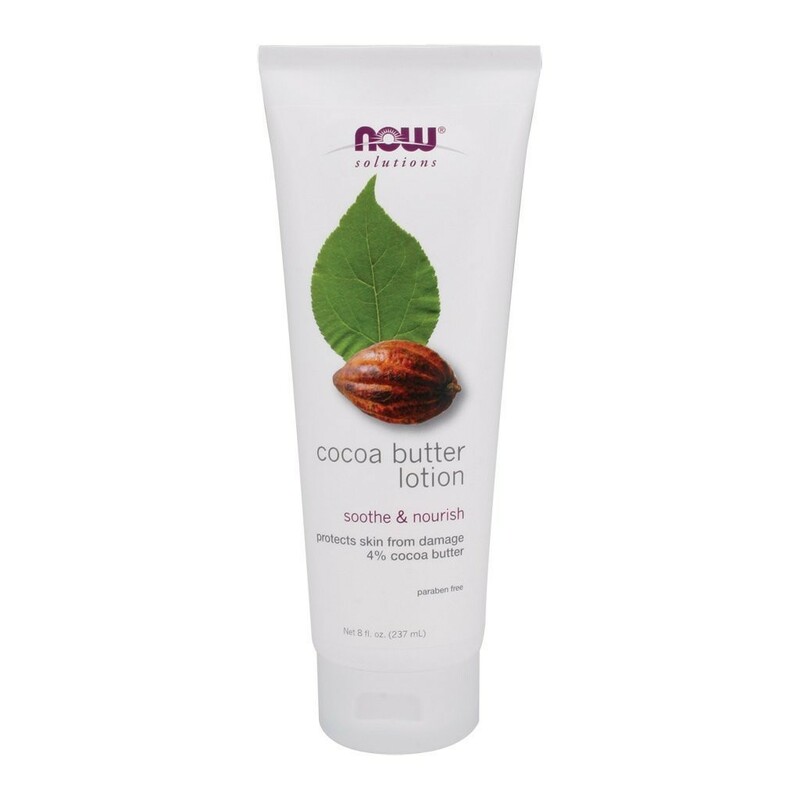 Solution: Cocoa Butter Lotion formulated with 6% Cocoa Butter and Rhodiola Extract to aid in protecting the skin from stress. Aloe Vera and Allantoin naturally soothe irritated skin while stimulating cell regeneration. Almond Oil and Lecithin act as emollients, helping draw and keep moisture in the skin. Apply a liberal amount of lotion to areas of the body that need moisture, or areas that are prone to stretch marks. Reapply as needed to maintain a healthy balance of water and oil in the skin. Ingredients: Water (Aqua), Aloe Barbadensis Leaf Juice*, Theobroma Cacao (Cocoa) Seed Butter, Cetearyl Alcohol, Prunus Amygdalus Dulcis (Sweet Almond) Oil, Glyceryl Stearate SE, Brassica Abyssinica (Abyssinian) Seed Oil, Glycerin, Glucose & Lactoperoxidase & Glucose Oxidase (natural preservative), Cetearyl Alcohol/Cetearyl Glucoside, Stearic Acid (vegetable source), Polyglyceryl-10 Laurate, Lecithin (soy), Tocopheryl Acetate (Vitamin E) (soy), Retinyl Palmitate (Vitamin A), Panthenol, Allantoin, Citrus Grandis (Grapefruit) Seed Extract, Rhodiola Rosea Root Extract, Natural Hinokitiol, Potassium Sorbate, Citric Acid, Xanthan Gum, Theobroma Cacao (Cocoa) Seed Powder*, Natural French Vanilla Fragrance.